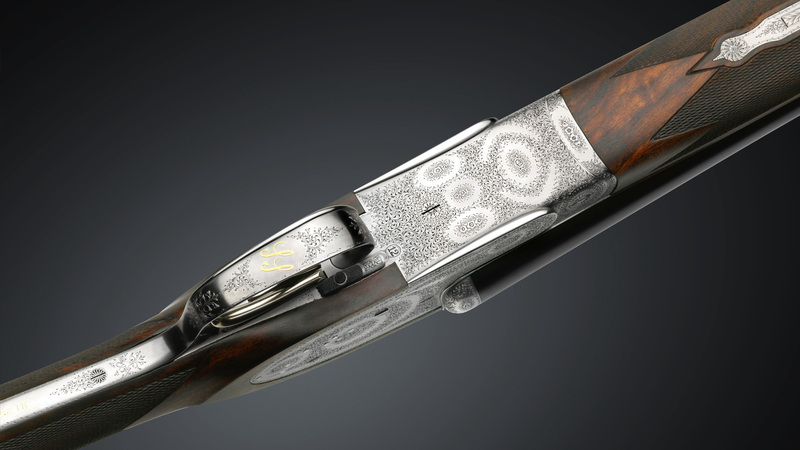 We designed this model for those who appreciate having a virtually invisible rifle barrel in addition to two shotgun barrels – a handy feature for an accurate shot at longer ranges for hare, fox, vermin, deer, and such. 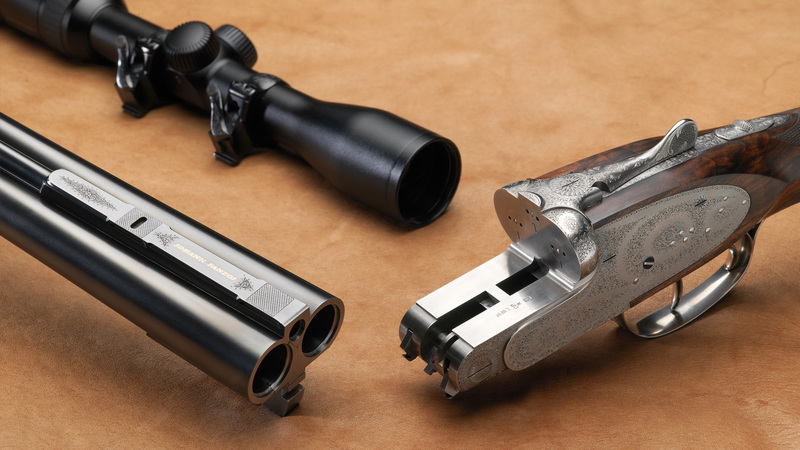 Set deep in the rib, the rifle barrel is hardly noticeable and we chose the .22 Hornet as a small, yet powerful centrefire cartridge. 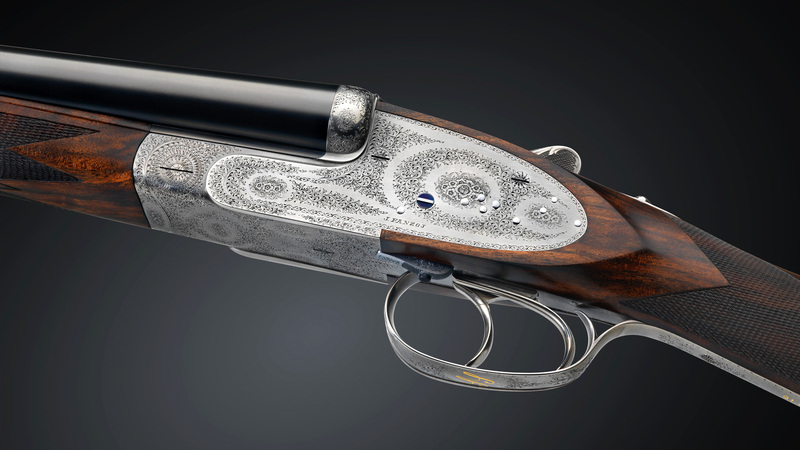 Without compromising on classic double shotgun function and aesthetics, the shooter now has the option of a rifle shot, if required. 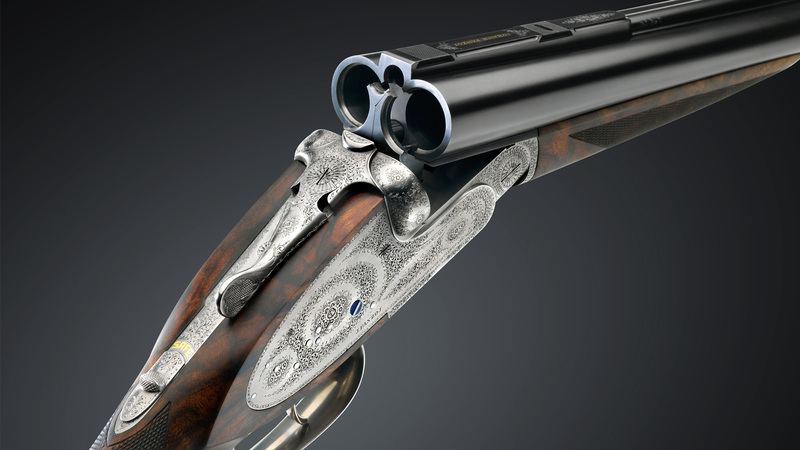 This beautiful gun meets all the criteria of a well-balanced, easy to handle, elegant shotgun. 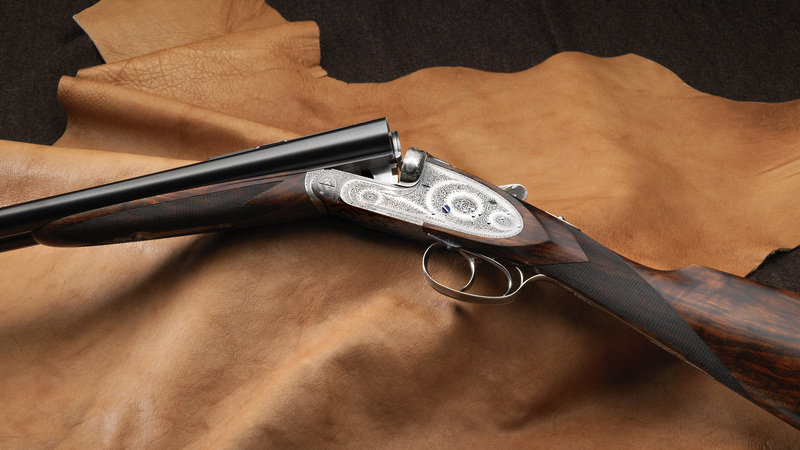 H&H-type sidelocks, automatic ejectors and double lock system with special selector mechanism (patent pending) that automatically switches the ejector off when activating the small rifle barrel.